This week is British Science and Engineering week (13th to 22nd March 2015) and in celebration of the fact people involved in science communication have been holding special events. You can find out what's happening at the British Science Association microsite here. 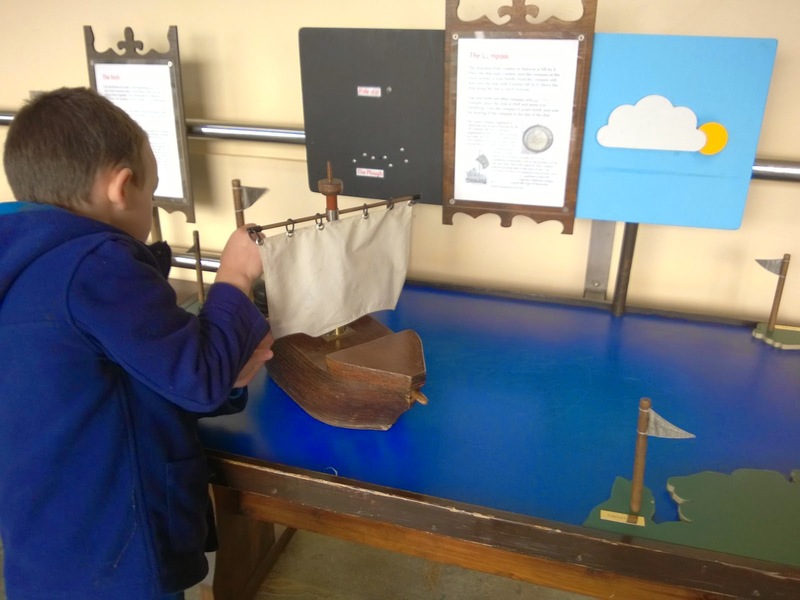 We joined in the fun on Monday, when the Observatory Science Centre at Herstmonceux hosted a home educators discount day. 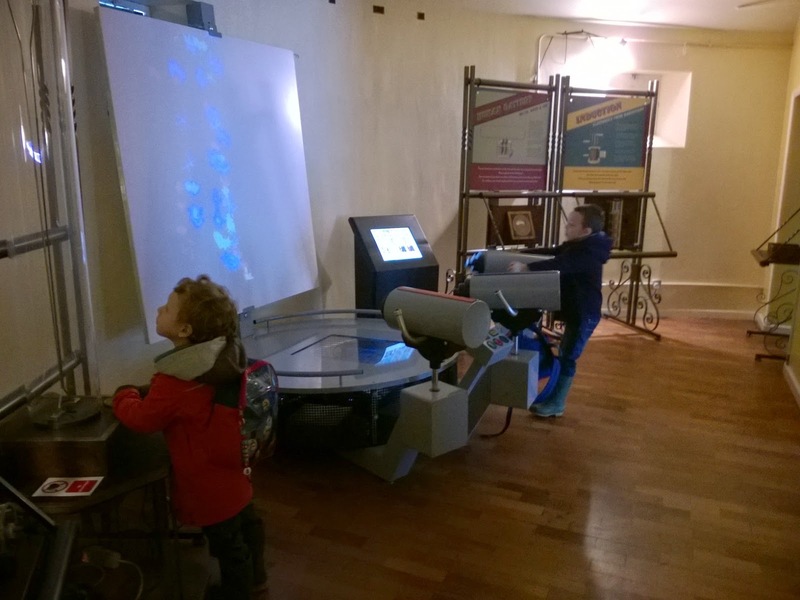 As well as old favourites, including the opportunity to test your building design against an earthquake, there were also new interactive displays, such as the medieval innovations area. 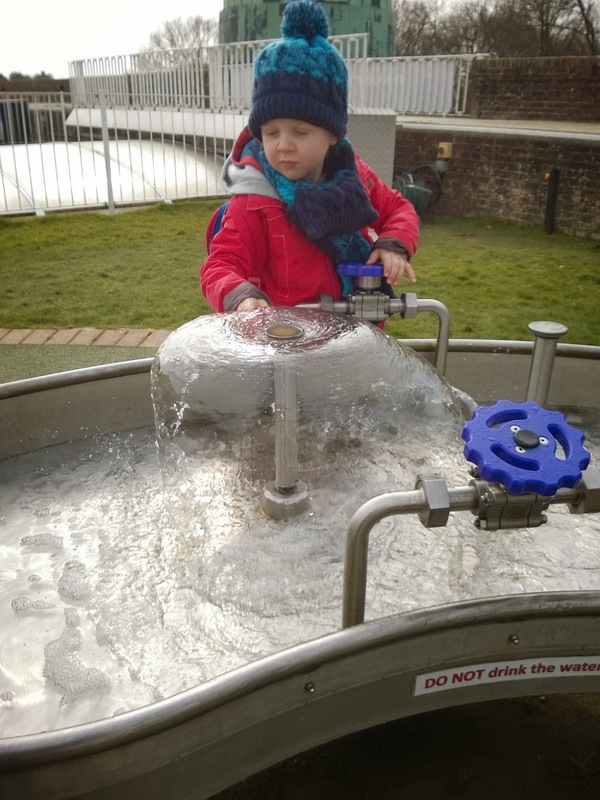 There really is something for every age to enjoy, with the smallest babies being fascinated watching the light elements such as the plasma balls, and the toddlers loving my boys favourite - the water discovery area where they can test out different ways to raise water including an Archimedes screw and hand pump. 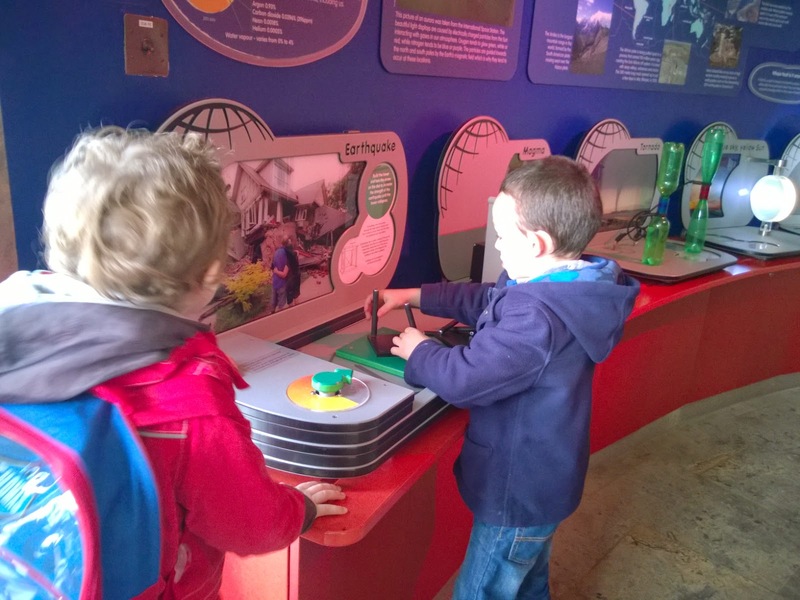 Each time we go the boys find something new to discover for themselves by trying out the activities while I use the interpretation boards to explain the science of what they're doing. 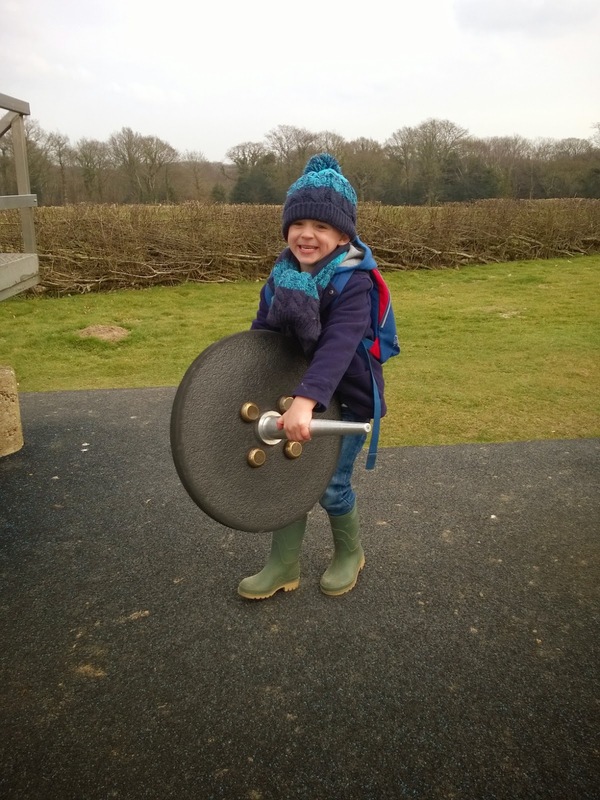 Being able to go in term time makes this easier as during holidays it can get very busy, making it hard for me to keep track of both boys and spend the amount of time on each activity that they would like to. School holidays do however have the added benefit of the science shows that the centre puts on in the dome behind the main building, so we were really pleased to find out that they were running the shows this Monday too. After enjoying joining in the show about light, we had lunch in the very reasonably priced café. 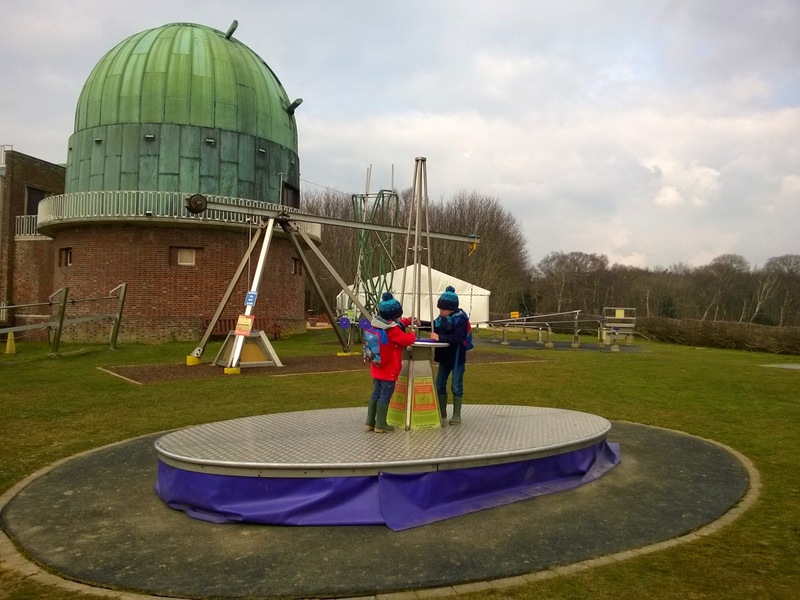 We spent the afternoon playing with the outside elements at the centre and listening to the history of the telescopes in the domes as part of the centre tour. 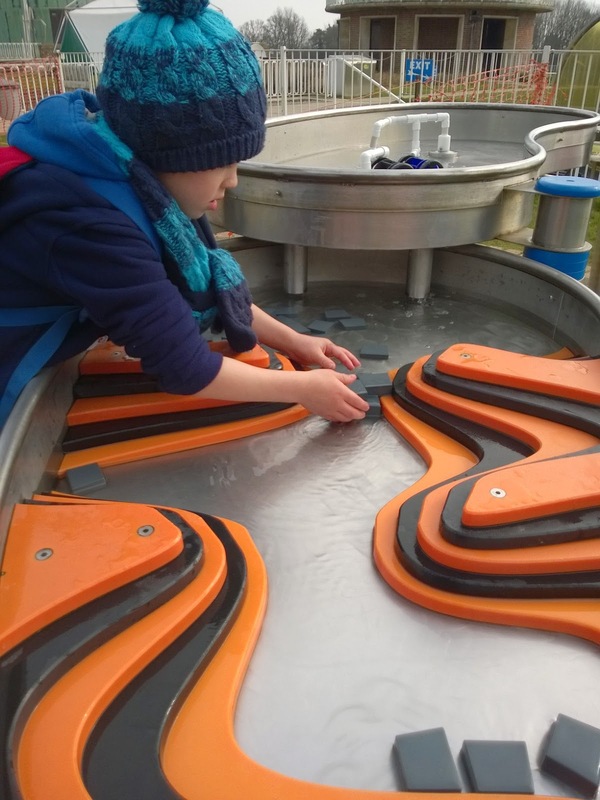 In cold weather we save the water exploration for last in case the kids do get themselves soaked, but generally they do stay dry as they build dams and direct flow to water wheels. 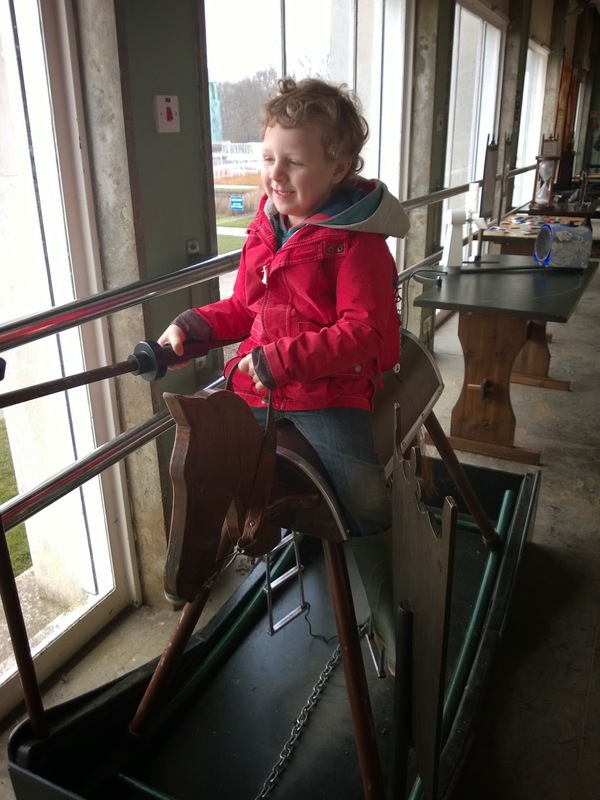 Notes: the site is accessible but as there are steps up from the entrance you will need to ask to go around by the disabled entrance if you have a wheelchair or can't manage your pushchair up the steps. 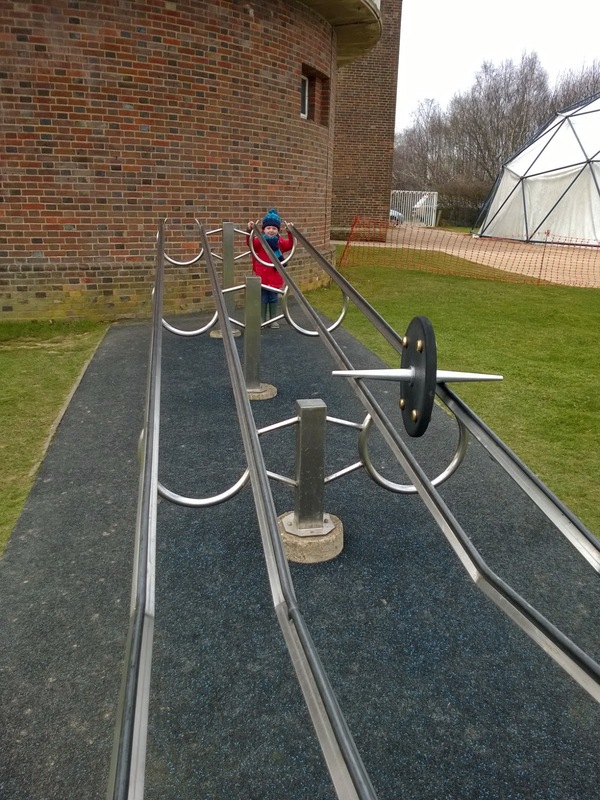 Inside the site is accessible with ramps where needed. There are toilet facilities, including a disabled toilet and baby change. There is a café serving reasonably priced food including freshly made sandwiches, soup and jacket potatoes. Picnic benches are provided too for you to enjoy your own packet lunches. The only safety concern to be aware of is unfenced high(ish) walkways and an unfenced pond, which used to make me very nervous when the kids were at the toddling and legging it stage. Apparently it was not unusual for the odd astronomer to end up in the pond after finishing a shift when this site was operating purely as an observatory. Paradise Park - better than NHM for kids?